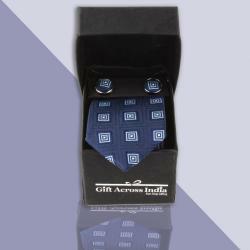 Product Consists : Micro Jacquard of Purple Weaved Tie and Cufflink along with Box. 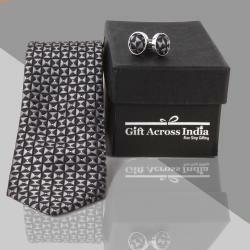 Giftacrossindia.com presents this Mens hamper set, which is a perfect gift for your husband,father,brother and many more on his birthday,anniversary or to make his day more memorable. 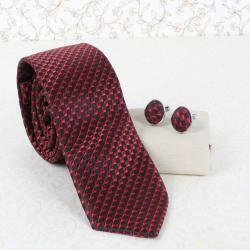 This attractive combo for men comprises a tie and a pair of Round Shaped cufflinks. The all items are made from a good brand stuff, which makes this combo superior in quality and a valuable pick. Purple Weaved Tie and Cufflink gives charming and attractive look on mens. 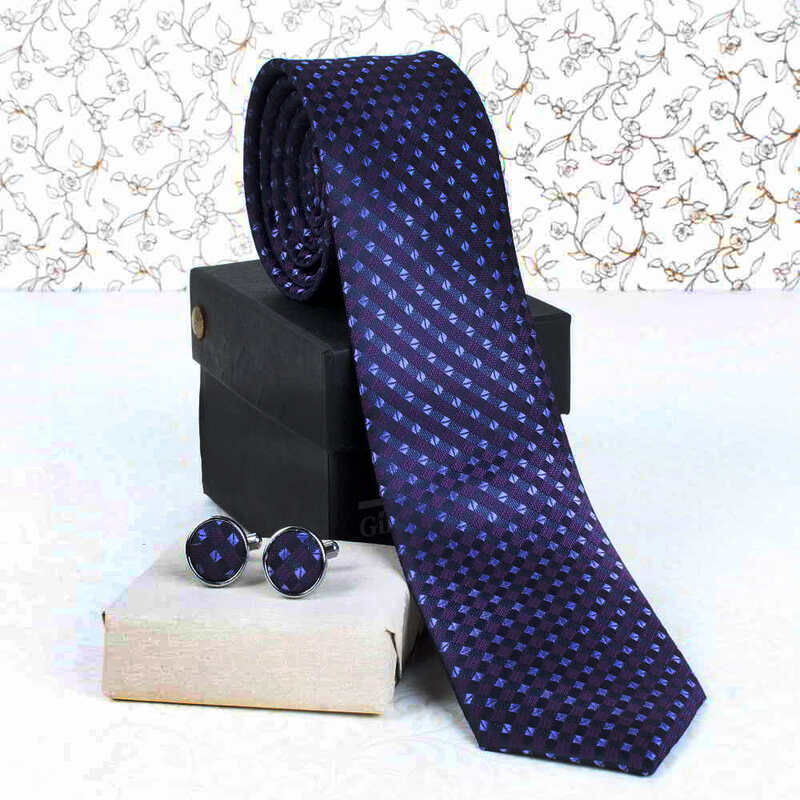 Purple is the favorite color of that special someone, these beautiful Purple Weave Cufflinks and Tie must-have. Beautiful pair of classic sterling purple cuff links and tie. This gift item is bound Self Design Fabricated. Cufflinks are like jewelry for men, thus this gift item is perfect for gifting to men. It contains 2.5 narrow and 58 inch in length it will contain proper size while wearing with a unique way of design. Buy this grooming gifts for your husband, brother, boyfriend or any Men you want to make feel special. So go ahead, place your order now. 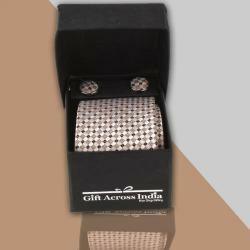 Product Includes : Micro Jacquard of Purple Weaved Tie and Cufflink in a Box.